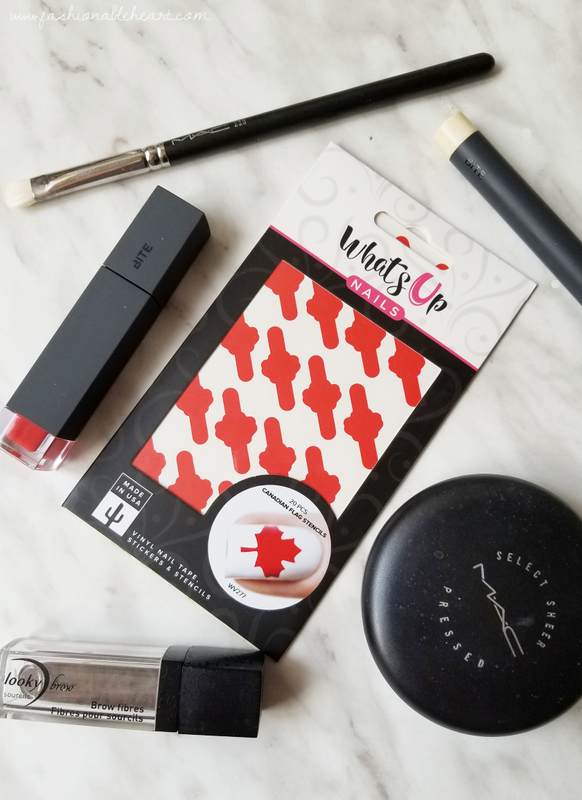 I was sent these adorable vinyl nail stencils by What's Up Nails from Nail Polish Canada. And guess what? I have a code that will get 10 of you a free set all of your own! You must have a Canadian address to take advantage and that's it. Once ten people have taken advantage of my code, you can search through the other lovely bloggers doing this promotion and hopefully find a code you can use. I hadn't tried stencils before these but what I really love is not only how easy they are to use, but also you're left with the little leaf center that you can also use in future manicures. It basically doubles the pack! The below swatches are not my own, because I can be honest with myself and know that my nail shots are not at that level right now. Maybe one day, haha! I tried mine for the first time this week and they are easy and fun. It looks like there are two sizes, big and small. I used two small ones for an accent nail on each hand. 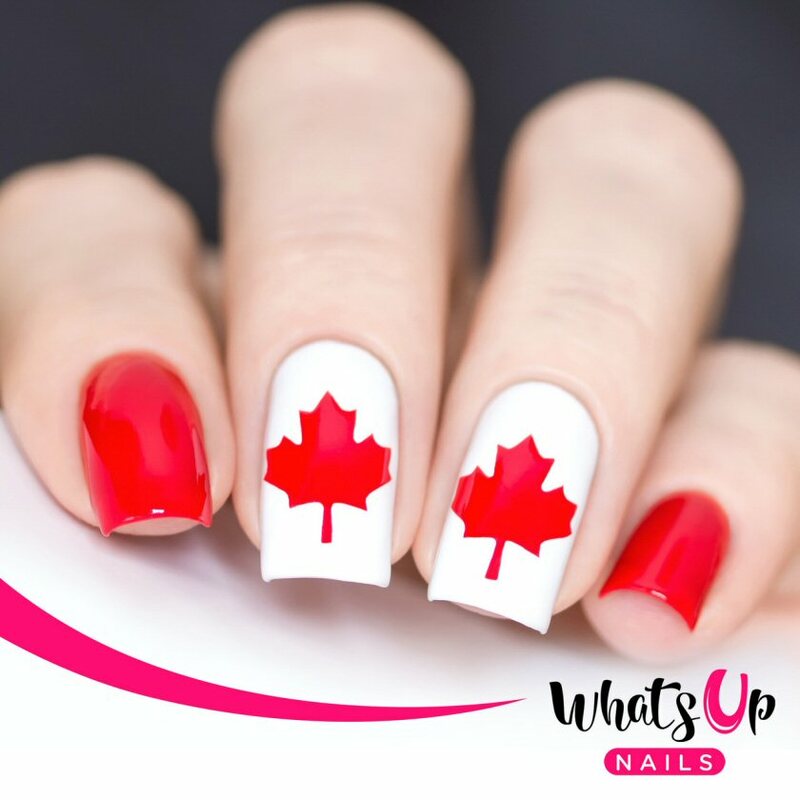 These are perfect for Canada Day! As an American in Canada, I can't wait to sport these and now I need to start my search for American flag ones. Then, I can represent both of my countries. That would be awesome! 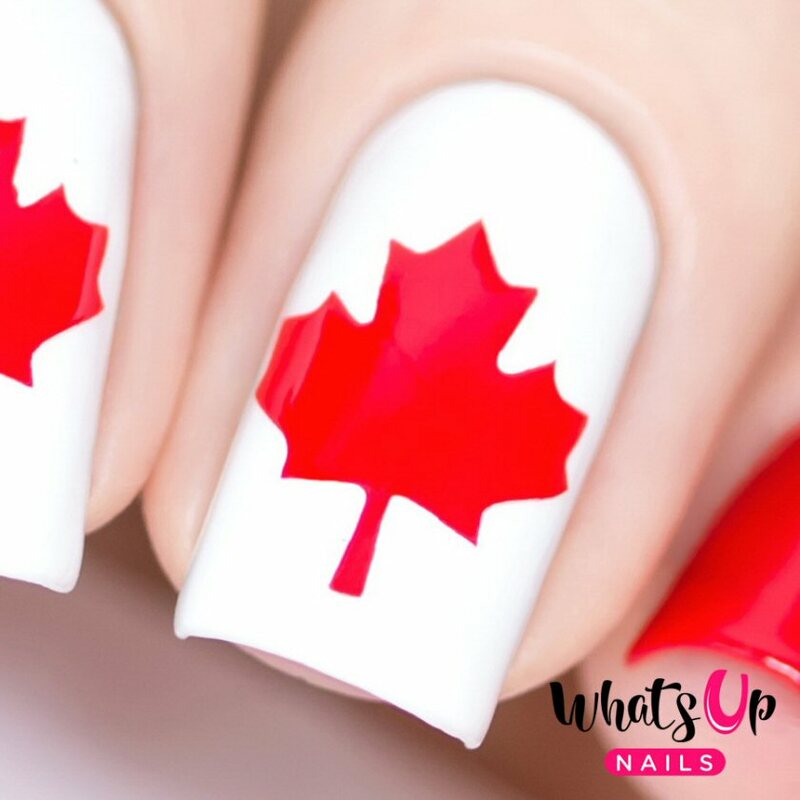 These would also be fun in a blue and white manicure for Toronto Maple Leafs hockey games. So how can you get your hands...errr...nails on one of these packs? Just go to this link and put in my code: UB3C1QAAHM4. That's it! The link walks you through it. If my ten have been taken, you can scroll down that same page and see other blogs that were also given codes. There's no catch! So to all my Canadian readers who want to sport some extra spirit come July 1st, here's a perfect way to do that. **I received these for testing purposes and to get 10 of you your very own set to try from Nail Polish Canada. There are no affiliate links in this post.